Corridors or Passages, for one person passage, in one direction, require a discipline enforcing width of 630mm (such as queue space at a bus stop), for less acute needs (such as at Airport check-in 800mm. Enclosed corridors as suggested in most residential building bye-laws, should be minimum 900mm wide, for short length runs of 5mts. For greater lengths a width 1200mm is advisable. 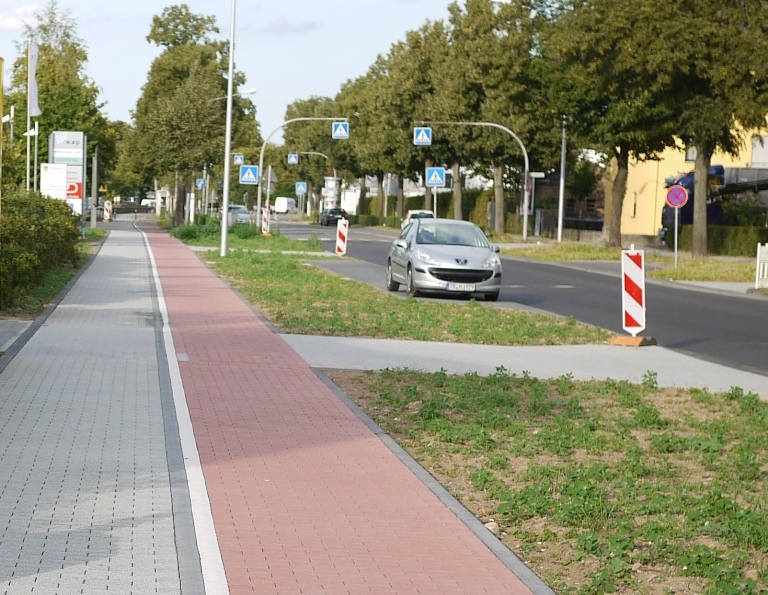 For wheelchair traffic minimum 1000mm width in straight sections, and more in angles or curvatures, is required. Where movement is likely to be intense, bidirectional and with hand carried luggage, a width of 1500mm should be provided. Where corridors are likely to be 1500mm or less in width the doors should be placed in a recess, and must open away from the corridor space. Preferably doors should not open out into the corridors, unless a recess equal to the full swing of a door shutter is provided. On a corridor opposite doors should be staggered. 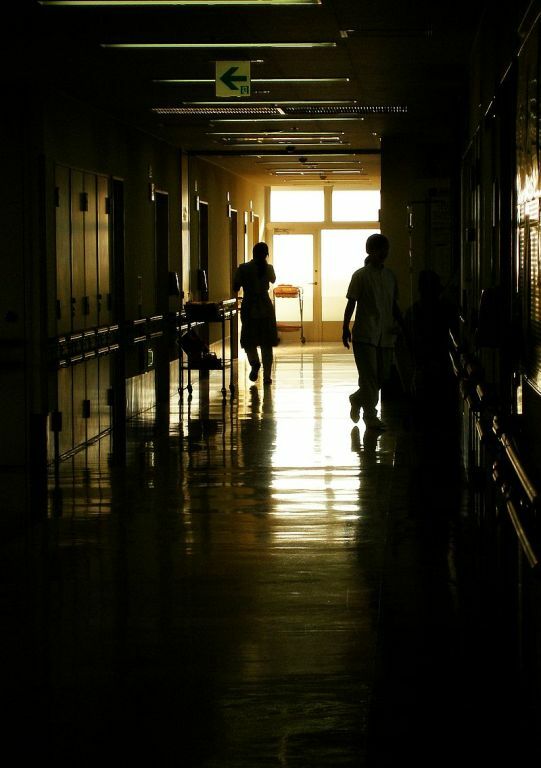 In hospitals facing doors, however, are of help in turning in stretchers and Fowler beds. At the end, start or junctions, corridors should be plain, there should be no opening for a length equal to the width of the corridor. Cross corridor junctions, if any must happen in a wider lobby or foyer. Corridors should have a secondary escape point for every length section beyond 15mts. Longer corridors tend to be boring so should intermittently terminate into a hall or foyer, before being continued. There should not be any projections, or fixed or loose furniture in the functional width of the corridor. Where visually impaired people are going to transit, the projection off the wall must not be more than 100mm, and furniture including the space for knee or leg of the user must be accommodated in alcove or niche. Illumination in corridors requires careful planning. Windows at the end of a corridor, or doors on corridors opening out to an exterior, create a glare. Artificial compensative illumination is very necessary to counter the glare. Side openings in a corridor provide a visual distraction, but unless fairly intermittent or properly designed, create very patchy lighting. Illumination fixtures on wall and ceiling fail to provide the desired effect when corridor height is low and traffics density high. Illuminated ceilings provide very poor modelling and social recognition. In such situations a lighter colour scheme and indirect glow not only on the ceiling but upper section of the side walls helps. Illuminated steps and side hand rails provide a functional definition. Illumination level in corridors should never be consistent as it creates boredom, It should be high enough near openings to counter the glare and in some situations (drama auditoriums) even feeble in contrast to the interior. Illumination fixtures that are visible like shaded lamps, diffusers, chandeliers etc. create a visible physical dimension. 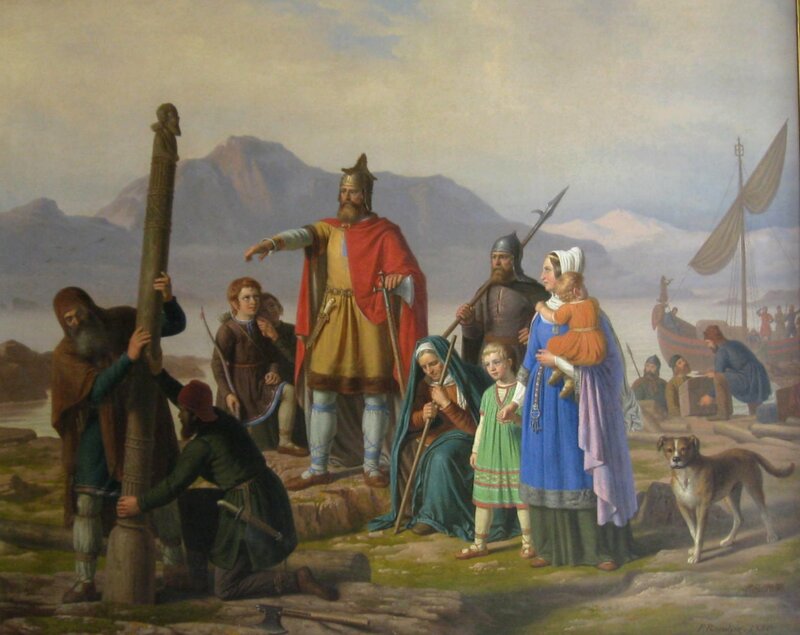 Paintings on corridor side walls must be smaller and with details that can be enjoyed at a closer distance (often less then 450mm) such as miniature paintings or photographs. Large paintings with very extensive colour or form patches are hardly visible in a corridor like narrow space. Artefacts in corridors must not encroach upon the functional passage width, so have to be in niches. Such niches have to be arc form to increase visibility from sides. Artefacts at the end of corridors are perceptible, if the traffic in the corridor is thin or intermittent. Cut out or double height section in the roof or ceiling section, are great relievers in straight jacketed spaces. 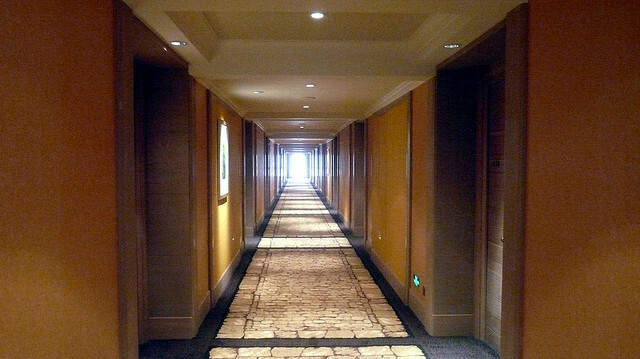 Corridor floors are visible in low traffic corridors such as hotel lobbies. These can be treated with long direction patterns. Corridors often have floor-finishes with running stripes on both the edges. The method extends the length aspect while reducing visual width. Stripes or flow of motifs in the shorter direction is unnerving, due to repetition and visual compression in perspective. Passage and corridors cut across spaces in a very logical manner and often as the most economic route. Compared to room spaces corridors require lesser height provision, so carry services such as ducts, wires, etc. in the ceiling plenum. The ceiling space of the corridor is easily accessible for servicing the utilities. The ceiling surface is designed to absorb the locally generated sounds, and also mask the sounds that leak out from the rooms, through the joints and crevices along the installed services. Passages, (as unbounded corridors) require side edge definitions. Such definitions could be in terms change in flooring colour, texture or pattern. Alternatively definitions could be through change in the floor level, or side barricading of 600mm to 1200mm height level. The barricades could be ceremonial or representative only. The barricade may not be continuous but could be intermittent like planters, boxes, ash-posts, poles etc. Passages need floor and other definitions to indicate the direction of the flow or movement, destination, and nearness to a point of change. These are formed by flooring colour, pattern, gradient, illumination, lamp posts, and visual axises or connections. Corridors and passages denote mostly permanent transfer zones in buildings, but sometimes passages get formed due to peculiar one point to one point movement. Corridors are architecturally well articulated built forms, whereas passages are delimited sections by barricades, flooring difference, sensorial markings, graphics and signage. It would be difficult to breach the discipline of a corridor, but passages can be overstepped. A corridor is a passage, but a passage needs to be well modulated to become a corridor. A corridor without the traffic, will still remain a corridor, but a passage without movement just merges in the surrounding space. Corridors are more formal then passages, but passages allow greater public participation, and so ceremonial. 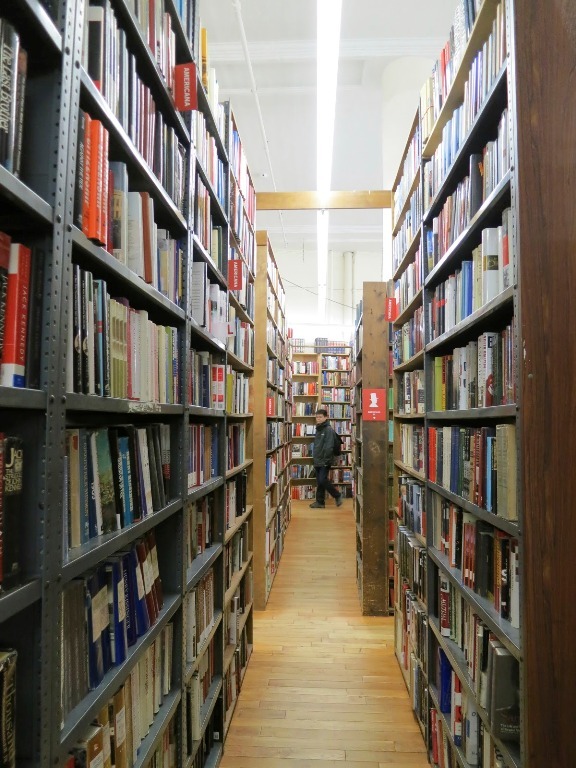 Corridors and Passages, as transfer systems in buildings are well defined and functionally supported by other systems. Such transfer systems become ineffective, if design definitions are improper, have inaccurate capacities, or lose the validity due to the changed circumstances. When a transfer system becomes ineffectual, many other systems in the building become useless. Corridors are defined or recognised passageways, connecting a point to point location, or several ones on the way. Corridors are defined by architectural features, distinctive materials and environment, sensorial recognition of their existence, signage, and preference for the shortest and easiest access route. Corridors originate at points of transfer like doors, other branch corridors, stairs, elevators etc. Corridors also occur where conditions for superior and efficient transfers are available, such as: shaded or protected areas, finer floorings, smoother gradient, pleasant surroundings, promise of fulfillment, expectancy, escape from hazards. Straight corridors provide a very efficient mode of transfer, but tend to be monotonous. Straight corridors allow continuous acceleration, which may pose problems to other transferees. Corridors with zigzag or variable movement directions heighten the expectancy. Circular or curved corridors tend to align the movement concentrically. Bidirectional movement corridors increase the social interactions among the users. Multi directional and multi velocity movements destroy the character of a corridor. Corridors are heavy movement areas, compared to many other spaces used for casual transit. Corridors, due to heavy traffic create environmental interference of noise, vibration, dust and spread pollutants and infections. 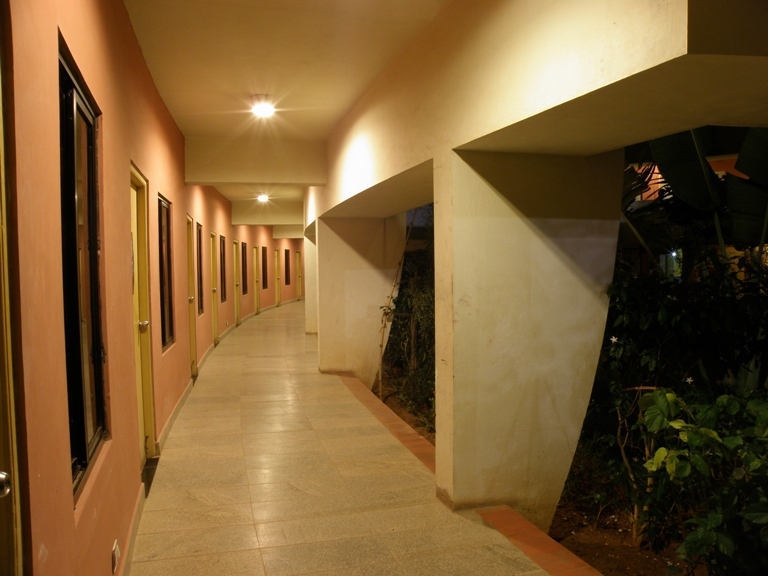 Corridors enhance the fire hazards and security risks; however, if properly designed, may curtail such risks. A straight corridor can be policed from one point, but so an intruder (terrorist) also can command the entire corridor. In complex buildings variety of work spaces, each with specific environment and controls are required; corridors as buffer zones isolate such spaces. Corridors create an intermediate or equitable zone of transfer for all such connected units. Corridors provide a strong cohesive identity among apparently very unrelated cells. 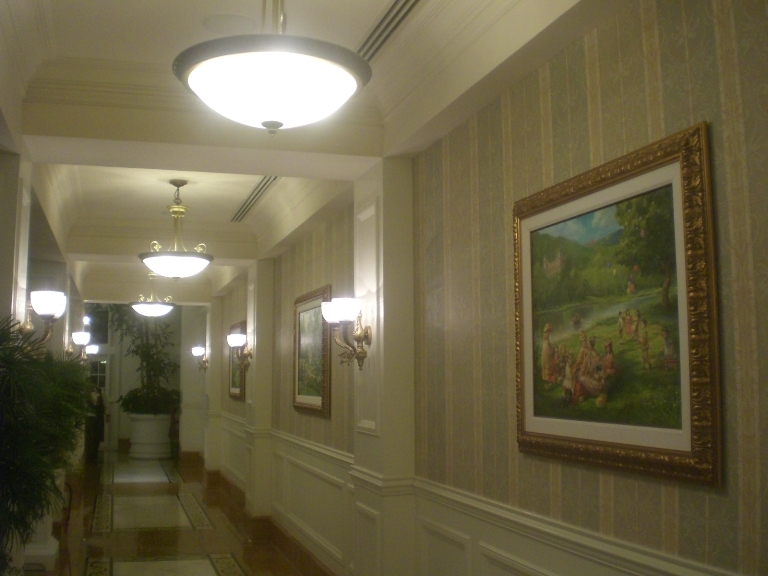 Corridors are ideal, if without any encumbrances, like cross passages, doors, and architectural transgressions (projecting out or receding in). But very long corridors, such as at Airports and underground metro services, without intervening interests become boring. Corridors are common utilities, so have several services attached to them, such as, toilets, drinking water fountains, fire fighting systems, emergency exits, air handling units for air-conditioning systems, seats, electrical mains, bulletin boards, exhibitions, first aids, security check-up systems, food and beverage dispensing systems and signs. A Tirupati temple (India) corridors are also used by devotees as a place to sleep, rest, eat, bathe and pray during the long wait for the Darshan. Quality of stonework depends on not only the technique of dressing, cladding and fixing, but also on the stone material itself. A building stone material to be useful requires specific type of extraction, handling skills, seasoning and curing processes. 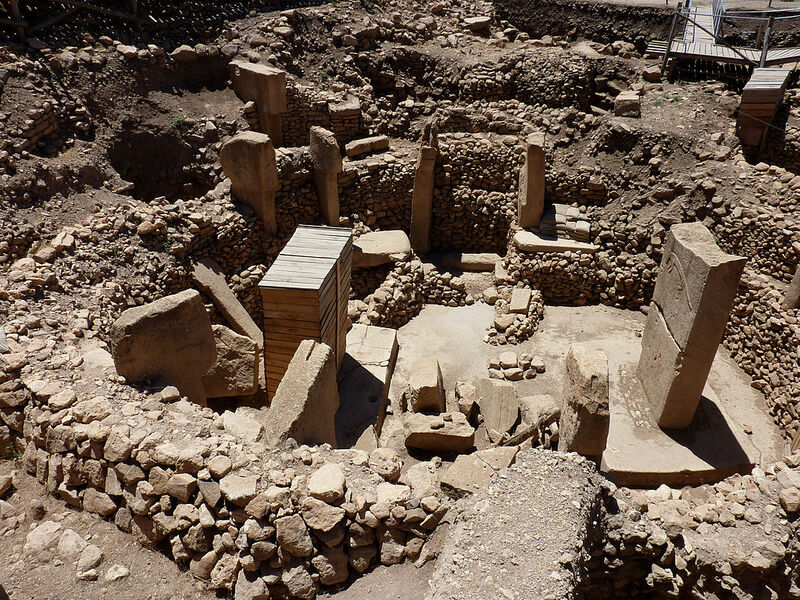 Most of the stone materials are extracted from a depth. Such materials, since their age of formation, have remained buried under heavy over loads. In many circumstances these have been devoid of oxygen, other gases, moisture, and light or radiation exposures. They may have stayed with entrapped moisture and gases. On extraction the stone material is brought to a totally different environment, and certain inevitable changes set in. The lessening of pressure allows the entrapped moisture and gases to escape, such as in sedimentary deposits. Some materials absorb fresh moisture and atmospheric gases to fill in the voids. 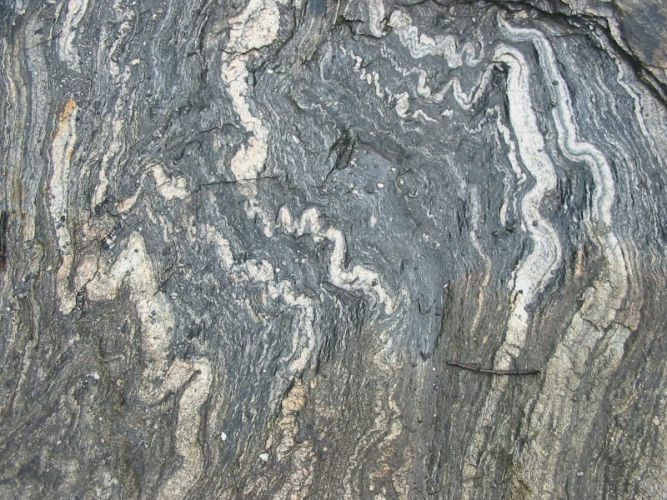 Due to reduced pressure, and exposure the mineral structures begin to alter, causing expansion or contraction stresses in the mass. 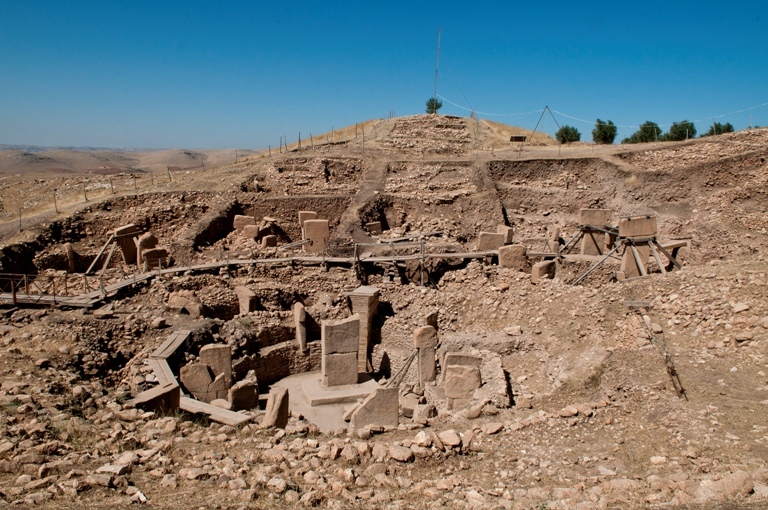 The environmental changes continue long after mining, sizing and dressing of stones. Rain water, is slightly acidic, and causes a calcium carbonate to change into bicarbonate. In industrial areas atmospheric sulphur and carbon dioxide enhance the acid action on stone. Chlorides on sea front and in industrial areas can get converted into weak hydrochloric acid and dissolve the carbonate rocks. Nitric acid produced from oxide or Nitrogen also corrodes stone faces. All corrosive mediums depend on supply of water or moisture, so care of fresh-cut stone is essentially a moisture management exercise. Seasoning: Seasoning involves both the drying and wetting on one hand, and airing of stone, on the other hand. There is an increase in strength due to the re-deposition of percolated minerals, surface carbonation, transmission and deposition of minerals on the surface of a stone, by both the evaporating moisture, and addition of water. Dehydration, during seasoning, is more or less an irreversible process and subsequent artificial saturation of stone with water, often lowers its compressive strength. 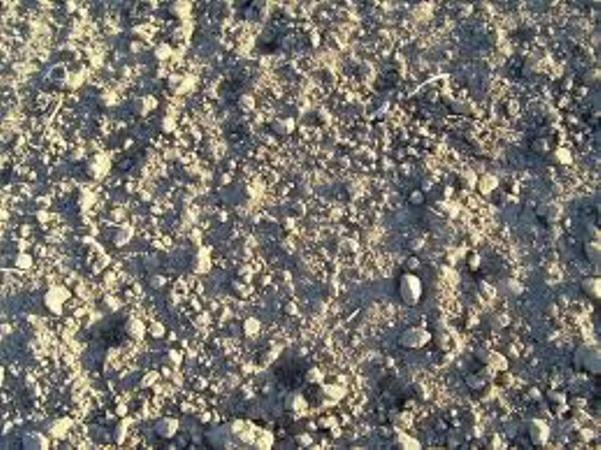 Seasoning is more relevant to soft limestone whereas hard limestone seems to be less affected by it. Immediately after quarrying, a stone is soft, and it is easy to work with it, but polishing to glossy finish requires a fully seasoned and hardened stone. Penetrating water: Effect of acid in air and rain water, mainly sulphur dioxide derived from the combustion of the sulfur constituents of fuel. Surface action of water, gases: Bleaching of colour, water soluble salts’ crystalline deposits, erosion. Effects of foreign deposits or organisms: Bird droppings, roots of climbers and other vegetative growth weaken the stone and accelerate the decay. Fungus and mildew are other destructive agents. Applied Surface Finishes on Stone: Water repellent or finishes that completely seal a stone surface should be used very judiciously. A sealed surface is likely to allow crystallization of salts beneath the surface instead of its natural leaching out. Water repellent finishes once applied are difficult to remove, and in many cases not re-coatable. Better design techniques, correct type of stone use and use of a biocide treatment give more satisfying result for problems such as algae, fungi, lichens etc. The decay of stone can be minimized by laying the stone with natural grain in horizontal orientation. Porosity, has no direct relation to the weathering resistance of stone materials, such as limestone. It is the shape, size and nature of pores, especially the degree of micro porosity that plays an important role in weathering. The action of carbonic acid, increases with greater micro-porosity, and capillaries prolong the dissolving action. Small cavities on the surface and rough finished textures trap dust, bacteria and retain water for longer period. Sand-stones containing colloidal minerals as a cementing medium has the most pronounced expansion due to weathering. Efflorescence (also called wall white, stack white or wall or stone cancer), is the appearance of crystallized salts on the stone’s surface, and the cryptoflorescence, denotes crystallization of salts within the pores. The crystallization of the salts and their re-crystallization from a lower to a higher hydrate within the range of mineral stability may develop stresses of high magnitude with quite an appreciable qualitative change. Compressive stresses, decrease the volume of the material, causing breaks with a shattering effect. This is more common in non-homogeneous stones, and stones with inclined grains or stratification. Shear stresses, move one part of a stone with respect to another, under certain conditions, inducing a permanent change of shape. These are best avoided by appropriate angle of extraction and cut, by careful orientation during coursing a masonry. Tensile stresses, produce cracks and fissures and torsion (or twisting). Generally, fine-grained rocks are stronger than coarse grained. Rocks with interlocking crystals are stronger than rocks with poor interlocking. Stratified rocks have poor strength along the plane or strata. 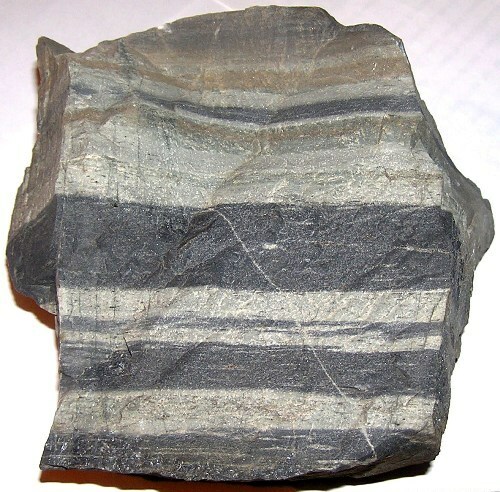 Stratified rocks as a rule have lower strength than igneous and non-stratified homogeneous rocks. A user perceives a material-object in many different ways like: Engineering attributes, Dimensional features, Surface properties and for Other considerations. orientation, or point of observation. There are more than 20 mathematical parameters applied to surface description, and some of the terms are: roughness, irregular features of wave, height, width, lay, and direction on the surface; camber, deviation from straightness; out of flat, measure of macroscopic deviations from flatness of a surface. Surface Finishes have three main cognitive affectations: Colour, Pattern and Texture. Colour and pattern, are visual recognitions, whereas texture has visual and feel affectations. 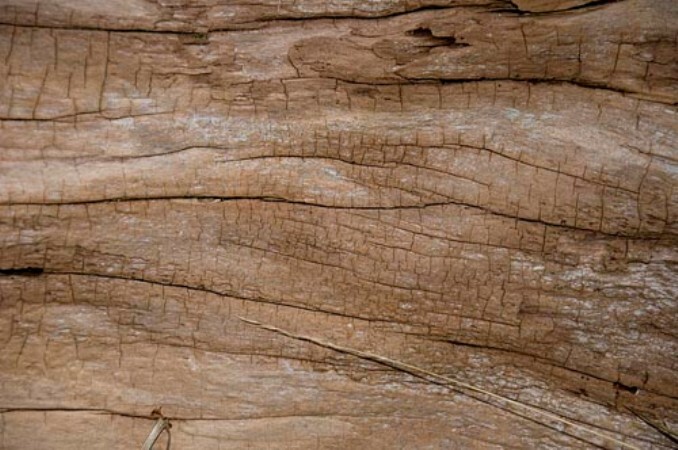 Texture profoundly alters the perception of colour and pattern. As a combined effect of all the three factors, it is impossible to duplicate a surface finish. Cognition of a surface finish is a subjective phenomenon, which cannot be expressed truthfully. A surface finish is a continuously varying entity, by processes like ageing, weathering, readjustment of stresses, and intrinsic physical and chemical changes. A surface finish is inherent with the material object or is an applied component. Applied components are affected by the behaviour of their base objects. A surface finish visual appeal also changes depending, on the quality of light (spectrum range), angles of incidence, brightness, contrasts with background or surroundings. It is also impacted by dilation of a pupil, biological capacity to recognise colour, capacity to focus, and many other visual abilities. 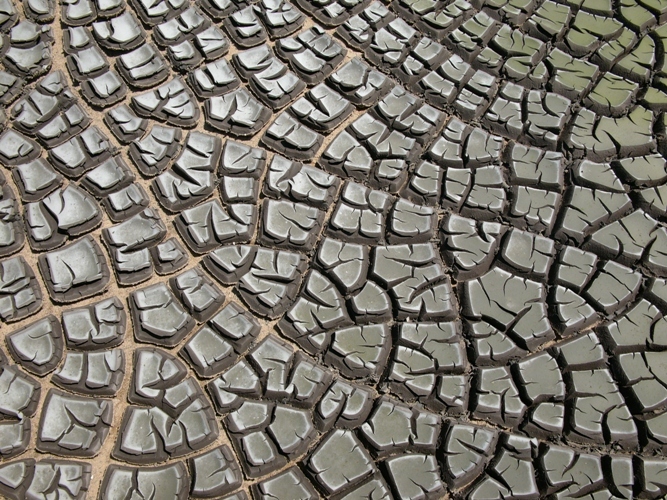 The Patterns in natural objects result from granular or fibrous orientation, method of cut, cyclic nature of growth, formation of residual products, deposition of contaminants, and tools-techniques of handling and processing. The patterns over objects are enhanced by simple processes like washing, cleaning, polishing or roughening the surface, Surfaces are altered by little more complex procedures like sintering, acid-alkali treatments, chipping to expose an underlying surface or by sectioning. Patterns are also created by forming joints and use of distinctive joint materials and their profile forming. For many products patterning and colouring is a secondary process. 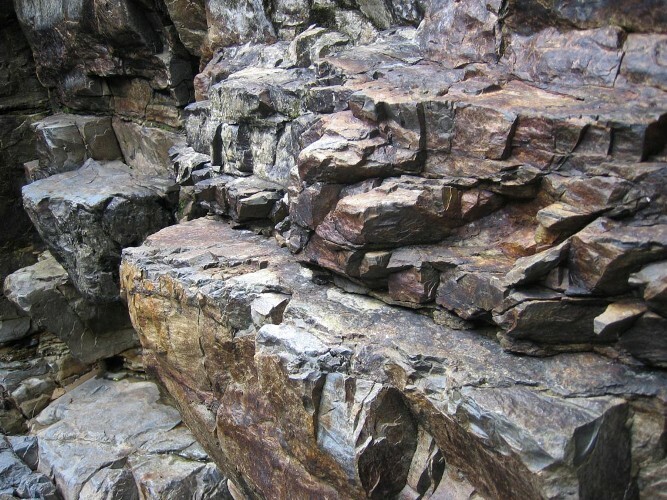 The textures primarily result from the degree of homogeneity, angle of cut, differential weathering, and stresses. Textures for manufactured objects are pre-set in the process of moulding, extrusion, shrinking, stretching, curling, twisting, spinning, weaving and forming, etc. Textures become apparent in the presence light and its incidence. Textures are more perceptible in reference to the shadows, which are more enhanced on lighter colours than darker faces. 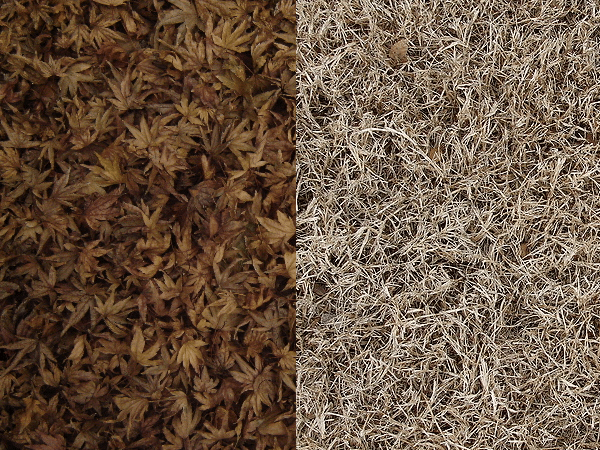 Textures are visible when one is nearer the surface; a little distance away it just seems a varied shade of colour. 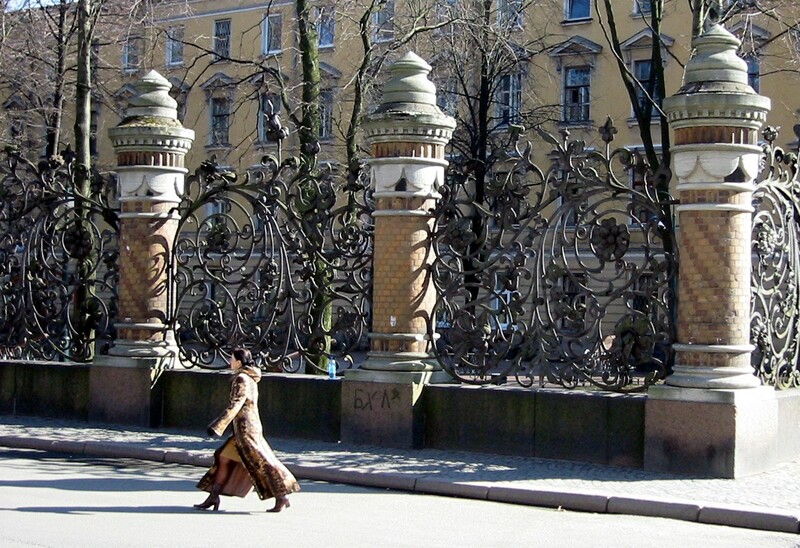 Wrought Iron lattices have been used primarily over windows, doors and other gaps. Latticed structures of wrought iron are used for balconies, as space dividers, church screens, vine climbers, stair railings, estate gates and barricades, frames for furniture items, lintels, beams, brackets, columns and for garden structures like orangeries and pavilions. Iron forming reflects man’s innovative and craft skills. It has been a very difficult material to work with, as it presents different behaviour in its various forms. Yet, it has been cast, resealed, joined, spliced, chased and engraved. It has been reformatted with hot and cold treatments. 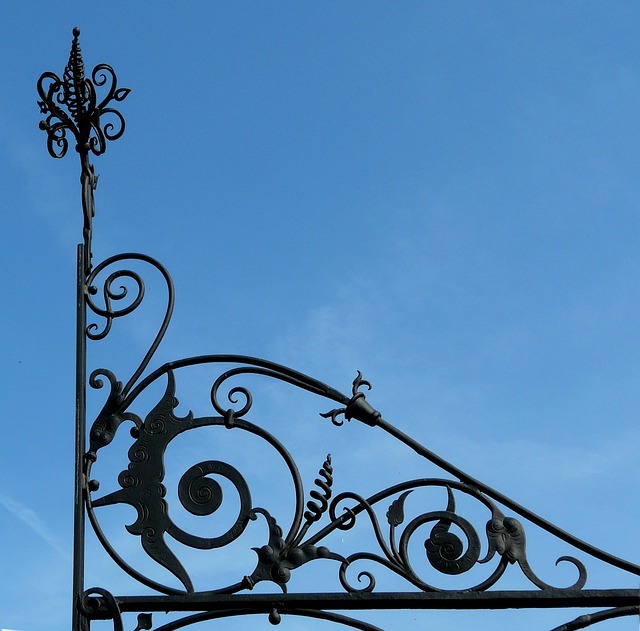 Wrought iron has been used for household utilities, tools, vessels, arms, building elements, architectonic entities, decorative items and statuettes. It has replaced wood for its stability, strength and malleability. Before the Middle Ages, wrought iron was used primarily for weapons, tools and utilities that only could be made with a metal. Unlike Cast iron, Wrought iron has a lower carbon content. It is stronger, non-brittle, and could be forged to any shape, and join by beating. 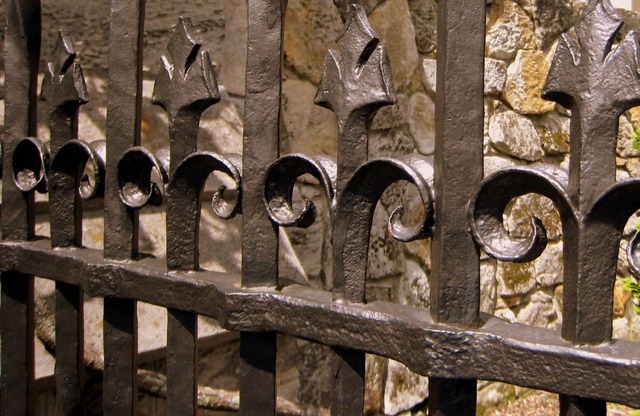 Literally, Wrought iron means an iron that can be worked, both in hot and cold forms. One of the most creative forms of wrought iron manifests in trellis, grills, and other hollowed or pierced-out planner forms. Earlier trellis or grills were formed of wood, bamboos, vines, and cast of copper or bronze, or even of ceramics. These materials were not amenable to plastic shaping. Wrought iron has been used as a plastic material to form variety of trellis, in simple or multi-curved planner forms and also mould sub-elements differently. The first lattices were functional elements like the protective cover within gaps, and in doors and windows. Simple linear cast or forged elements were inserted in side structures of masonry or wood. These, however, soon became interlacing or entwined entities of bars, hot-forged or riveted forming a grill. Same techniques were used for creating grills for hearths and sieves. 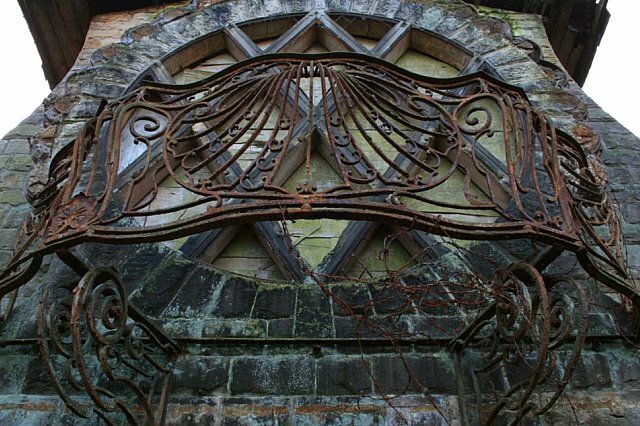 Wrought Iron lattices began to be used 13 and 14th C windows of mansions and cathedrals requiring high security. Same structures were used as barricades and partitions. The lattices were designed with variegated shaping of bars’ profiles, and in terms of angle and spacing. Hot-forging and cold working methods were used to alter the sections and shapes of the linear elements. Round and square rods and bars were twisted, coiled and beaten into complex foliated forms. Iron pieces were chiselled, chased, riveted, shape forged. Iron plates were also used for plate like tracery elements. Ends, finials and cresting were cast from other materials like brass or bronze and mounted over steel roods. Riveting and hot forging was chief techniques of joint making. Joints, However, were so skilfully concealed that the grill seemed like one cast or formed piece. 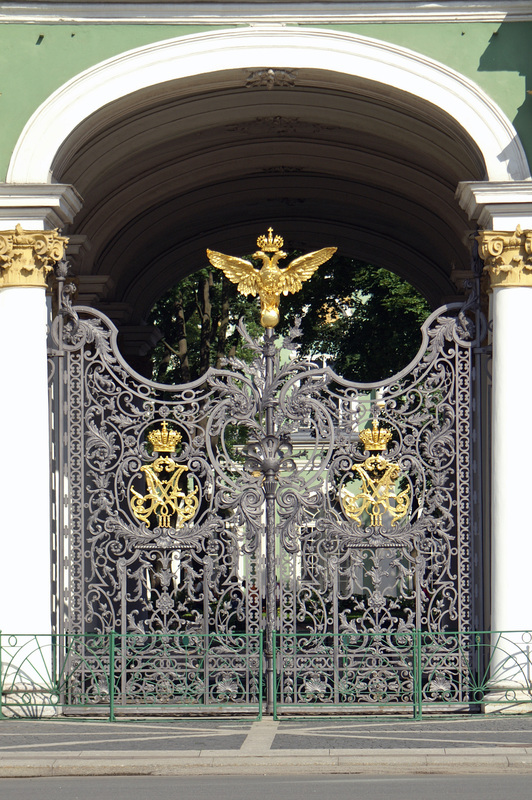 Wrought ironwork began to serve other decorative purposes. 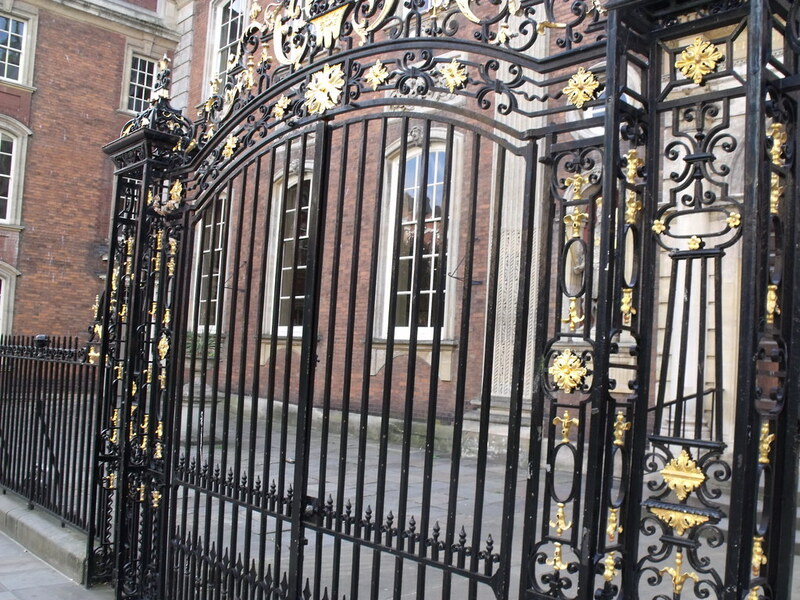 Famous cathedrals and other public buildings ( Canterbury and Winchester Cathedrals of England and Notre Dame de Paris) have extremely crafty pieces wrought iron works. Wrought Iron lattice work, began as a rough surface entity, but by end of middle ages, the surfaces were well formed, ground and joints were concealed. Surfaces were often chased, engraved, inlayed with materials. Finials, caps and other elements of brass, copper, bronze and gold were added. Ornaments were forged out as separate parts, and assembled with riveting, or welding. Decorative elements, such as of flowers, leaves, vines, birds, names, and coats of arms, were bunched or heaped to provide a composition language. Space occupation is very comprehensive change wherein several processes are simultaneously initiated. A person or group, marks and dimensions a realm, to distinguish it, from many other such locations. They condition themselves biologically to adopt it. The environment is conditioned by structuring variety of devices, and by forming strategies of inhabitation. In a continuous process a built-form is formed for environmental responses, provisioned for the functional needs of living, and rendered with required sensorial attributes. Some of the processes of change for inhabitation are either instinctive or imperative that such responses are taken for granted. 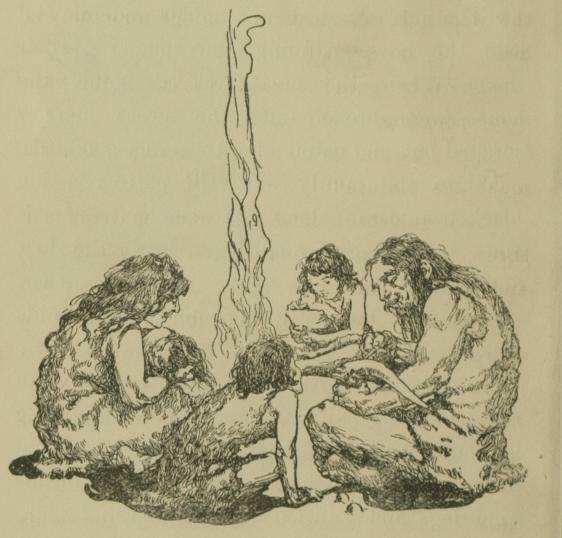 The responses pass from one generation to another, condensed as metaphoric expressions or folklore and heritage. Space occupation responses are mix of determinable as well as in-specifiable factors. But they reflect in the behaviour. The behavioural response could be local and immediate (like going to a shaded area, changing a body posture, breathing deep before a strenuous action) to extensive and persistent (creating a new opening, building a shade). Understanding of behaviour of space occupants or inhibitors is very meaningful to all designers who wish to plan means and strategies of living. The space-living include personal acts like grooming, eating, resting, etc., living with others (including family life), communication, earning a livelihood, and other diversionary activities like revelry, grief, etc. These activities are, personal, family based, group-based and universal (of humans and of other biological beings). A spatial entity is inhabited by a lone user as well as groups of related or unrelated people. 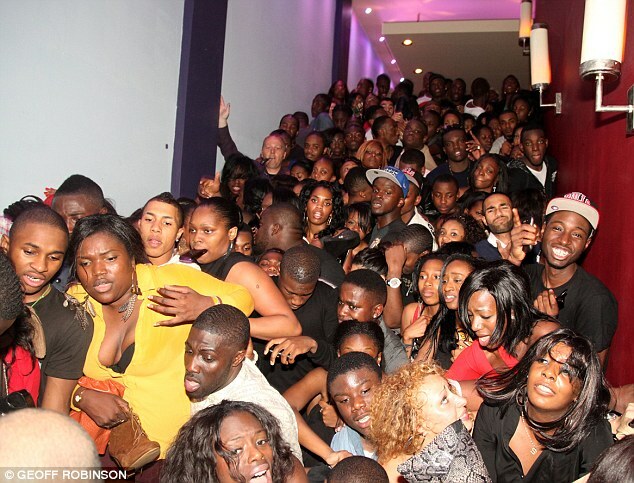 A user reacts to the ‘real presence’ of others and also to the ‘incorporeal imminence’ (presence in spirit) of others. In a holy space like temple one is affected by the presumed presence of God. Memorials are designed for causing the reverence. Burial grounds and crematoria cause an eerie feeling. Odours, lingering sounds, distant visibility, touch, etc. reinforces the presence of others at realistic level, as much as images, metaphors, signs and other associated items do so at the abstract level. One of the most important aspects of space occupation is achieving various degrees of reach capacities. A reach is measured on two counts: Physical distance and Degree of sensorial perceptivity. The reach also bears on intensities like desire, need, compulsion, aversion, instinct etc. Physical reach is used in occupation and inhabitation of space. The physical reach is reflected mobility, a capacity to move a limb of the body in a wide range of purposeful movements at the required speed. It dynamically helps one to activate as well as deactivate (relaxation) the limb. It is also used as means of expression and communication. The sensorial perceptivity represents the capacity to perceive through various senses. These capacities can become very acute or get dulled in specific conditions, such as distancing and orientation. The sensorial capacities can be enhanced by tools or recast in some other recognisable form (we do not ‘see’ deep into the celestial space, but rather listen to the noise emanating out it). There are many ‘space and time’ conditions where and when the reach is not measurable. These are pseudo or make-believe circumstances where the real dimensions of the reach are shrunk, enlarged, skewed, delayed or hastened. Pretentious reach can be experienced in reflections of mirrors (doubling of the depth and displacement of left-right), bifocal vision (perspectives, optical anomalies -long straight lines seem curved), echoes, in transmitted audio messages and images, condensed graphics, metaphoric and symbolical representations, holographic images, virtual reality conditions, etc. In space occupation for inhabitation, there are many ways, we form, modify and customise the spaces. The customised space becomes a predictable and familiar entity. It also creates an entity with identity. The inhabited spaces have identities that pertain to the family, a clan, a village or settlement, and societies, with identical terrain and climate characteristics. The common identities develop due to terrain, materials, environment, etc., but which all get set as heritage and become persistent. Bio-adhesives are comparatively a recent nomenclature to distinguish a variety of Adhesive materials that are of natural origin. These materials are often only ‘primarily processed’ and so are believed to retain their natural characteristics. Synthetic adhesives pose environmental concerns of volatile organic compound (VOC) emissions, safe disposal and recycling problems (very long life cycles). The health and safety issues relating to hazardous ingredients, in foods, medicines and bio-implants, cause concerns. Bio-adhesives like other natural materials tend to be bio-compatible, and so there is increased commercial interest in them. There use in certain applications such as for biomedical and topical uses such as the bonding of skin and body tissues are being studied. The uses of bio-adhesives are being assessed, as food additives and supplicants, due to low level of toxicity. Secretions by microbes, marine molluscs and crustaceans, are being researched with a view to applications in bio-mimicry. Adhesives are primarily bonding materials, but many such substances are also used as thickening and homogenizing substances in foods and medicines and as fragrance giving gums. Bio-adhesives consist of a variety of substances, but proteins and carbohydrates form a large section. Natural adhesives or bio-adhesives are of three broad classes: Plant materials and exudates, such as starches, plant saps and resins, natural rubber, gum arabic, colophons, oils like linseed oil, and wax like carnauba wax, proteins like the soybean, and carbohydrates like starch. Animal products like casein, milk proteins, wax, glue and other gelatinous substances, shellac. Mineral products like Pozzolana and other natural cement products, silicates, asphalt, bitumen pitch. To these can be added, a range of modified natural products, typically various derivatives like a chlorinated rubber, cyclized rubber and rubber hydro-chloride. ● Natural adhesives of vegetable origin include plant exudates such as: Gum arabic, colophon; Oils and waxes like linseed oil, carnauba wax; Proteins like the soybean, and carbohydrates like starch. ● Natural adhesives of animal origin include various glues and other gelatinous substances, milk casein, shellac and bees wax. ● Natural adhesive like mineral substances include silicates, Pozzolana, asphalt, bitumen etc. ● Natural elastomers are natural rubbers and their various derivatives like a chlorinated rubber, cyclized rubber and rubber hydro-chloride. ● Proteins glues such as a gelatin, and carbohydrates such as starch, have been used as glues by man since very ancient times. Postal stamps have natural wet-able glue despite synthetic alternatives. There are several applications where cooked starch or flour adhesives are used, such as for book binding, corrugated board, paper-bag production, paper tube winding, kite thread colouring, and wallpaper fixing. Casein glue is mainly used to stick labels on bottle labels. Animal glues are traditionally used for leather work, bookbinding and wood joinery. ● Animal Glues: The term animal glue is usually confined to glue prepared from mammalian collagen, the principal protein constituent of skin, bone, and muscle. When treated with acids, alkalies, or hot water, the normally insoluble collagen slowly becomes soluble. If the original protein is pure and the conversion process is mild, the high-molecular weight product is called a gelatin which is used for food or photographic products. The lower-molecular weight material produced by more vigorous processing is normally less pure and darker in colour and is called animal glue. Animal glue traditionally has been used in wood joining, book bindery, sandpaper manufacture, heavy gummed tapes, leather shoes and luggage items and similar applications. Joints with animal glue work well in dry to moderately moist weather, but with high humidity (80 % or more) growth of micro organisms weakens the adhesive. In spite of its advantage of high initial tack (stickiness), animal glue is being replaced by synthetic adhesives. ● Protein Glues: Casein glue is made by dissolving casein, a protein obtained from milk, in an aqueous alkaline solvent. The degree and type of alkali, influences behaviour of the product. In wood bonding, casein-glues generally are superior to animal-glues in moisture resistance and ageing characteristics. Casein also is used to improve the adhering characteristics of paints and coatings (calcimine, distemper coatings). Casein is now getting replaced by urea formaldehyde resins. ● Blood Albumin Glue is made from serum albumin, a blood component obtainable from either fresh animal blood or dried soluble blood powder to which water is added. Addition of an alkali to albumen-water mixtures improves adhesive properties. A considerable quantity of glue products from blood was used in the plywood industry. ● Starch and dextrine: Starch and dextrine, are extracted from corn, wheat, potatoes, tamarind or mango seeds or rice. They constitute the principal types of vegetable adhesives that are, soluble or dispersible in water and obtained from plant sources throughout the world. Starch, and dextrine, glues are used in corrugated board, packaging, and as a wallpaper adhesive. ● Natural Gums: Natural gums, are extracted from their natural sources, also are used as adhesives. Agar-agar, Calcium alginate, a marine-plant colloid (suspension of extremely minute-particles), is extracted by hot water and subsequently frozen for purification. Algin, is obtained by digesting seaweed in alkali and precipitating either the calcium salt or alginic acid. Gum arabic is harvested from acacia trees that are artificially wounded to cause the gum to exude. In India Babool, Neem, provide such gum exudates (Hindi-Gund), some of which are also used in sweets, and Ayurvedic-herbal preparations. Another exudate is natural rubber latex, which is harvested from Hevea trees. Natural gums are used chiefly in water-re-moistenable products. ● Bituminous Adhesives: Bitumen and coal tar derivatives are available as hot melt or softening, emulsion and solvent diluted materials. The hot melt or softening materials have a tendency to run at high temperatures. Bituminous materials are used for fixing waterproofing felt and roof insulation boards.